More than 18 months after it broke new ground as a targeted attack on poorly-secured Internet of Things (IoT) devices, an IoT security researcher is warning that the widespread availability of MIrai source code is continuing to spawn new innovation that is likely to continue for years to come. As “proven attack code”, the public release of the Mirai source code in October 2016 gave malware innovators a leg up in finding find new ways of bypassing network defences and compromising target home and business networks, NETSCOUT Arbor manager of threat intelligence Richard Hummel told CSO Australia. 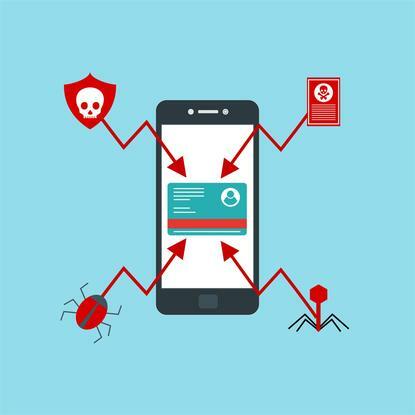 Early efforts saw the number of infected devices climb steadily, with 493,000 devices reported just weeks after the release. But as knowledge of individual devices’ vulnerabilities spread through hacker circles and new variants of Mirai became even more responsive to change, Hummel warned, those numbers were set to continue growing dramatically. Despite slow improvements in security amongst manufacturers, the high penetration of such devices has created a lingering exposure that has continued to grow as IoT adoption continues to soar, both in the home and in the enterprise. Last month, the VPNFilter malware took the game up a notch after infecting half a million routers across 54 countries. That malware – which affected Linksys, MikroTik, NETGEAR, TP-Link and QNAP network devices and borrowed from the previously-observed Black Energy malware attributed to Russian hackers – had been under scrutiny by Cisco for some time, but a surge in infections led to its unmasking and subsequent overpowering by the US FBI. That sort of attack comes as no surprise to Hummel, who warns that IoT security continues to lag conventional security – and that hackers have redoubled their efforts on the back of the success of Mirai and, now, VPNFilter. Vendors have been slowly assuming the burden of better IoT security. However, given the disparate nature of the IoT market, hoping for a sudden revelation in security thinking is too optimistic. Rather, Hummel advises, companies should be thinking about upstream protection, such as monitors that watch for behaviours typical of Mirai and other increasingly well-understood IoT malware. Policy-based observation had occasionally helped the NETSCOUT Arbor security team pick out telltale signs that malware authors were testing new Mirai-based botnets. A similar approach had helped security researchers track the Zeus Trojan since it was first identified in 2007 – and, like Mirai, Zeus had been used to spawn myriad offspring that leveraged its malicious base code.